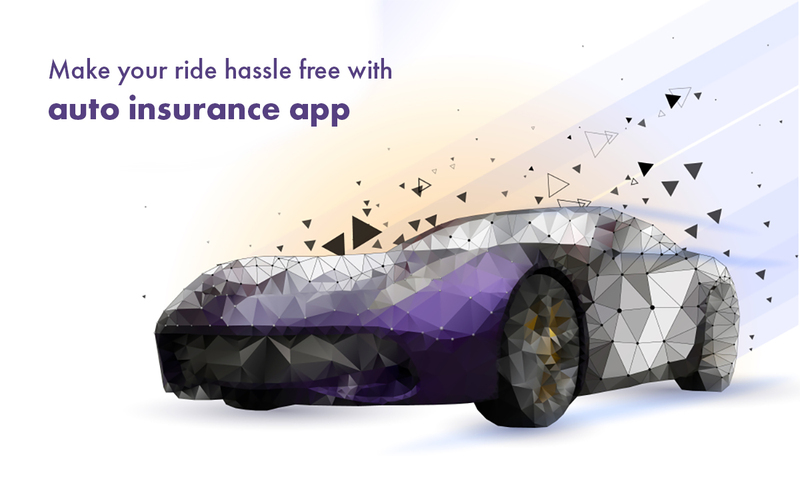 Make your ride hassle free with auto insurance app! Mobile applications’ market potential is enormous. In just a few years, every company will be obliged to have a first-class application, so as not to be an outsider in the market. Today, request for mobile applications in both Android and iOS are becoming higher. Market realities are such that now the mobile application needs to be not only comfortable and functional, but also bring aesthetic pleasure to the user. Icons of applications that the user sees on the screen are the face of your company, customer loyalty and, consequently, the level of income of the enterprise often depends on the design. Considering the speed with which other industries have adopted AI and app technology, it is in some ways surprising how long it has taken the insurance industry to jump on the bandwagon. The difference this technology could make to small but necessary tasks like data processing and claims verification by easing up the manual workload and reducing the lengthy paperwork often associated with insurance would significantly improve the experience of car insurance customers. Insurance field is the one that requires second wind, and it is not a mistake. Customers are looking for easier and faster ways to apply for a required insurance type or make requests for claim processing. And mobile software solutions can help achieve it. Insurance app development will help your users make their life more efficient even when they constantly move. Despite this slow start, car insurance apps are beginning to make an appearance alongside other car service applications for car owners with a broad range of services now on offer. With the rise of ridesharing services like Uber and Lyft, we are likely to see an increase in demand for third party insurance that’s quick, short term and inexpensive. We shouldn’t be surprised to see regular drivers taking advantage of these services once they are on the market, even if the original goal was to meet the needs of ridesharing users. In fact, the range of options is limited only by your imagination. If desired, the insurance application development can include any of such features as integration with social networks, obstetric services, banks, ticket offices, tour operators, airlines, hotel reservations and any other organizations or companies. Users’ satisfaction is increased thus – instead of using multiple disparate applications, they can simply install one. One thing should be noted, though – the more options are implemented, the more insurance app development cost. What we can be certain of as applications in the car insurance space become more targeted, efficient and data-driven is that the increased monitoring of our driving will only be a good thing for good drivers. Rather than insurance rates being calculated based on age, gender or number of years on the road, using real data insurance rates can be set based on driving ability alone — a significantly fairer method of assessment. Claims execution becomes absolutely free in mobile apps for insurance. Insured person’s life becomes much easier and it reduces a workload of insurers since they have more free time. And it would be better to spend this time for the acquirement of customers. Using smartphones, customers can take a picture in case of an accident and send them via mobile insurance app to get a due payment. The insurer may direct the tailor-made information to customers, for example, about promotions or new insurance idea. This approach makes it possible not to overload the insured with the excess information, but at the same time, to build personal communication strategies. In terms of marketing, mobile apps allow to clearly pinpoint the customer’s preferences and to offer products of interests specific to the consumer. This often allows increasing the additional sales notoriously. Insurance agents can always stay in touch with their offices using mobile insurance apps. Besides that, mobile apps allow them to do this work even when they travel or just waiting for customers. They can get access to sales automation tools and CRM tools that increase clients’ management efficiency.